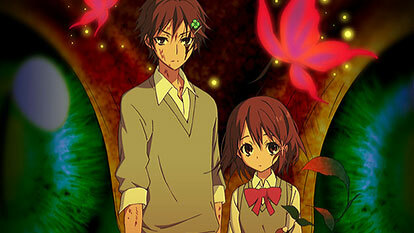 The "life-and-death sibling" story follows Utsutsu and Yume Hasegawa, a boy and his little sister who find themselves all alone. One day, Yume sees a mysterious red butterfly and her body undergoes a strange metamorphosis into a creature that eats humans. Utsutsu struggles to find a way to restore his sister.